Polemarch Keith Thomas and Horace Scandrick make clothing and toiletries donation to the Savannah Homeless shelter. and Armstrong Universities. Additional support is provided to the West Broad Street YMCA and the Savannah Homeless Shelter. The speaker at the Founders Day Ceremony was Elder Cazzie Russell. The ten founders of the fraternity were recognized and a candle was lit for each founder. Closing remarks were made by the Polemarch of the Savannah Alumni Chapter, Keith Thomas. A repast was held after the ceremony. 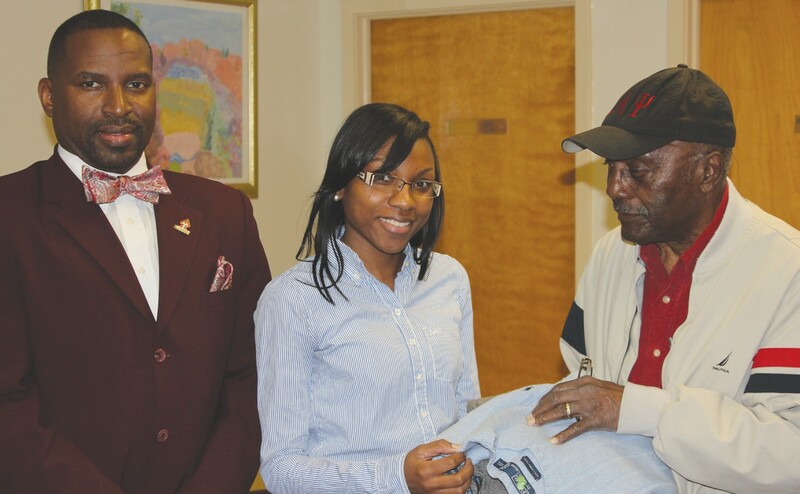 It was an occasion dedicated to honoring the founding members of Kappa Alpha Psi Fraternity.